First step in getting your CoolSculpting rebate code is to sign up for Brilliant Distinctions, if you are not already a member. If you are already a member you can skip this step. but also receive a $50.00 off Botox rebate for joining. Visit the Brilliant Distinctions Program link and create an account. Go to this link, and log in with your Brilliant Distinctions user name and password. This needs to be done 48 hours prior to your appointment for your voucher to arrive in your BD account. 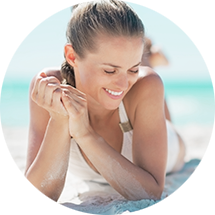 When you call to schedule your appointment with either Lita or Erika, let use know you will be using your CoolSculpting rebate and ask about any other in-office offers. For the month of February we are offering an in-office promotion of $150.00 off each CoolSculpting cycle. This, on top of your rebate and any accrued points is an unprecedented discount! You may also use any BD points you have accrued toward your CoolSculpting treatment. 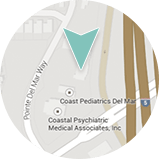 To schedule your appointment, contact us at (858)350 -7546.